Eventually you are completely miserable and unable to be around the family without pain. The only solution at this point is to work it out; find out what the problem is and do your best to solve it. Then try and mend the time spent at odds. Injuries are very similar. Most of the time you do minor damage, your body repairs itself and you barely notice; maybe there's a sting of pain but you feel better the next day. For more serious injuries, you may be sore for a few days. You can choose to "fight through" or take some time to let it heal. Fighting through can cause compensation injuries (fights with other family members) or intensify your original injury. Taking time may reduce inflammation but it won't actually fix the original problem. Is that spot the injury or just deferred pain? Do you have calcification causing additional pain? Do you have scar tissue adhesions? Do you have compensation injuries? What actually is the injury? Sound like a lot of work...? Well, it is, and I can help...your family will thank you! Copyright © 2016 Maury's Massage, All rights reserved. Ever had pain on the bottom of your foot? Ever been told that you have Plantar Fasciitis and wondered what it was? Ice is a vasoconstrictor which reduces the size of the blood vessels and forces blood out. Anti inflammatory drugs (NSAID) behave as a steroid and block the enzymes that lead to inflammation and pain. Elevation - if you raise your foot above your heart, gravity with help the blood (and lymph) drain. Wearing arch supports will help with the pain while you are wearing them. Doctors may tell you that you need to take muscle relaxers and other strong drugs for the pain. They may also tell you to get special shoes. These options will help but they will not solve the problem. 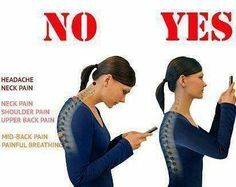 Smart phones are a pain in the neck! Almost every client I see complains of neck pain. Of course there are tons of causes but one you might not suspect is using your cell phone. The average human head weighs about 10lbs. We carry that thing around all day...can you imagine carrying around a 10lb dumbbell all day? You would be pretty annoyed, tired and sore. That is how your neck feels. Plus we like to hang our heads down which increases the load on your muscles. The further forward you hang your head the more work your neck is doing. Our neck has flexor muscles and extensor muscles. The extensors pull* it back. 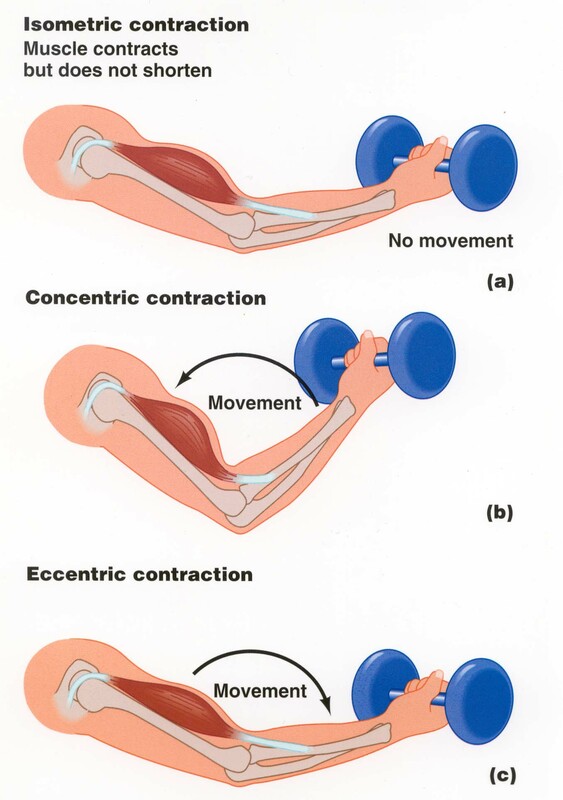 *"Pulling" in this case is referred to as concentric contraction; the muscle fibers contract and the muscle gets shorter. In the texting position you use your flexors to pull your head forward, or contract. Once your head is forward, gravity takes over and those muscles are done. They can chill. So why does my neck hurt if the flexors are chilling? 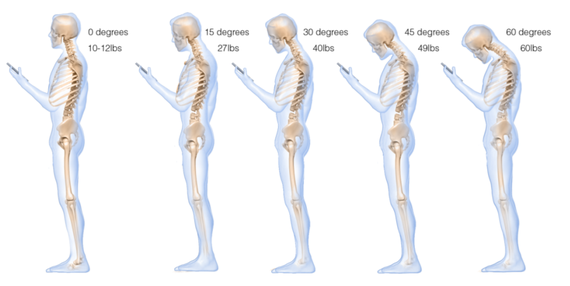 Isometric contraction is what causes your neck pain after a long day of using your smart phone. The extensor muscles are not being used to pull your head up. They are being used to keep it from falling all the way down and crushing your windpipe. So they are active all day but are not allowed to fully contract or extend. Great, now I know why it hurts, what do I do about it? Hold your head up as high as you can. Think of balancing it on the top of your spine. This way all of your neck muscles can help out. Stretch out your flexor muscles. Lay backwards on a pilates ball. Hang your head back off the end of the bed. If they stay flexed all the time, eventually flexor muscles will shorten and start working against your extensors. Find opportunities to use your neck muscles in different ways. Lean your chair all the way back so that you have to use your flexor muscles to hold your head up. Sit on a pilates ball during the day so your body is moving around and you are forced to use all your different neck muscles. Lift your shoulders as hard as you can for as long as you can. Then drop them. Take stock of what you are currently asking of your neck muscles; see if you can reduce their work just a little bit. Get a deep tissue massage with trigger point release. This will force the muscles back to their normal state, both in the front and the back of your neck, and allow you to change your posture habits. It will loosen up with blockages in your upper back that are forcing you to hunch. You can release some of the muscles in your upper chest (pectoral attachments) that will allow you to bring your shoulders and head back. *All of this also applies to computer monitors, microscopes, reading books, even eating at a table. 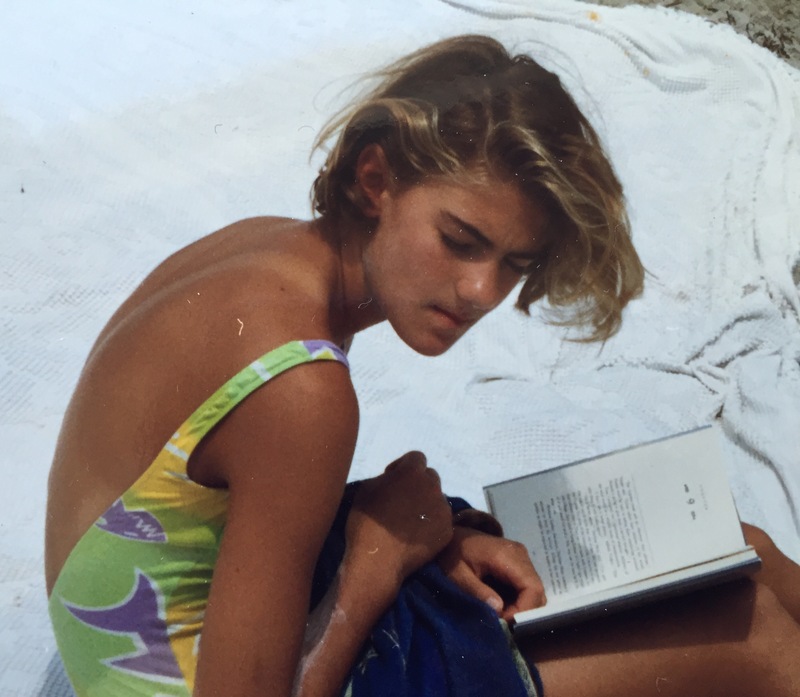 As it turns out, having good posture feels better in the long run. 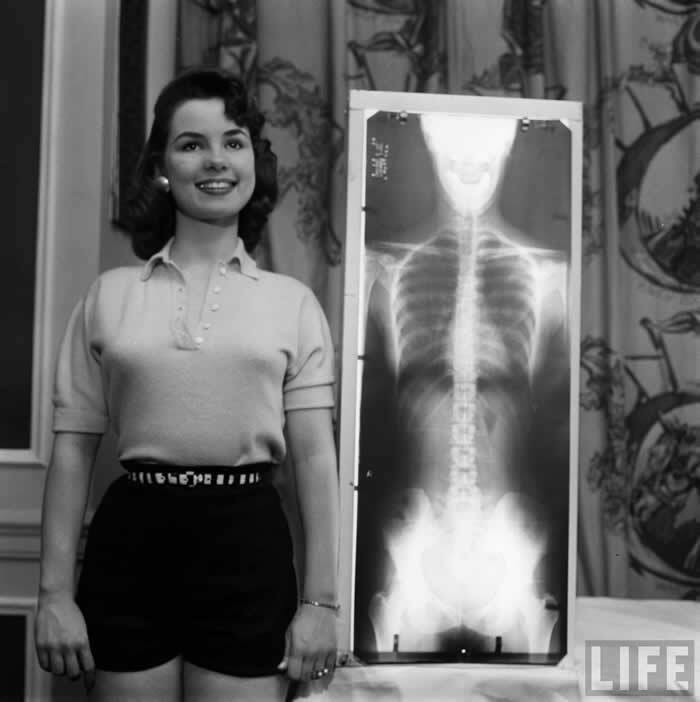 Look how happy Miss Correct Posture is! "I Messed Up My Back"
Many of you have complained of low back pain at some point in your life; it hurts to bend over or roll over in bed. Sometimes even standing up straight or lying in bed is painful. Lets go over some of the low back anatomy; in the image below you will see some pink muscles in your back, buttocks, and a white area of connective tissue (fascia) holding it all together. Generally people with low back pain, complain of discomfort in the area with the white connective tissue. As with plantar fascitis the fascia can become swollen and painful but often working directly on that tissue is not productive and instead causes more pain. The large gluteal and thigh muscles are more often to blame for the pain. Tight hamstrings and glutes tug on the lower back fascia and cause pain. Also tight muscles in the upper back and around the spine can contribute to the low back pain. This condition is often accompanied by weak or inactive abdominal muscles. If you compare the quantity of muscles on your anterior lumbar region to those on the posterior you will find that your abdominal muscles are much stronger than their opposing posterior muscles. Lay on your back and gently draw your bent knee up to your chest, using your arms to pull it. Pull that same knee gently across your body toward the opposite shoulder. Gently lower your leg and repeat with the other leg. Bring both knees up and gently hug them to your chest. You can rock side to side gently to give a little stretch to the other smaller muscles. After stretching, position yourself comfortably on your stomach and place a bag of ice (frozen water not a gel pack) over your low back. Let it sit there for about 15-20 min (no longer). Sometimes the tighness in the glutes or hamstrings is caused by a knot which is best resolved by a professional. How do I prevent it happening again? Keep your legs and buttocks muscles loose and healthy. Ensure that you have strong abdominal muscles. Ensure that you are using your abdominal muscles when you are bending and lifting. Try the gut check test: before lifting anything heavy or bending forward, give yourself a quick poke in the belly. You should feel hard resistance. Remember strong abdominal muscles don't matter if you don't use them. Regular visits to your massage therapist can help to prevent these types of flare ups. As always, if you ever have questions or concerns about body pain, please don't hesitate to reach out to me. I'll do my best recommend solutions. 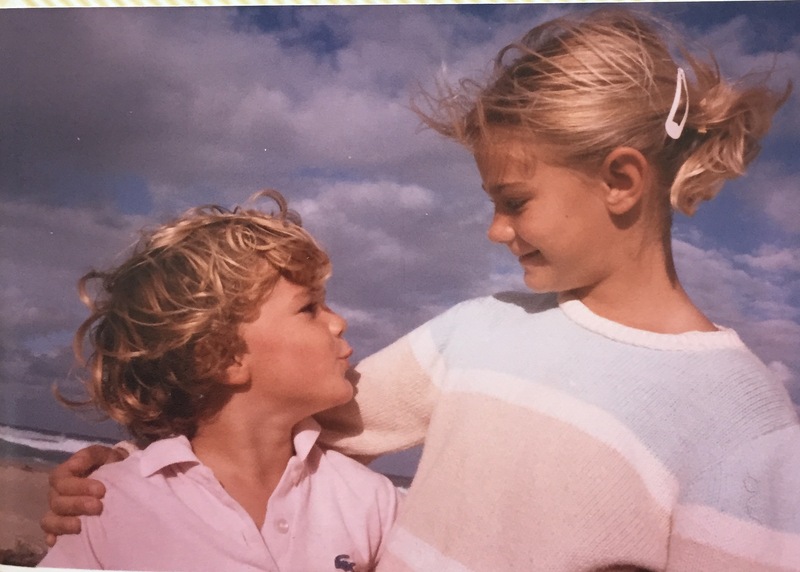 "Why do I hurt after I travel?" When you fly, take a train or drive for long periods of time, your body is forced into an unnatural position. So what is the ideal body position? 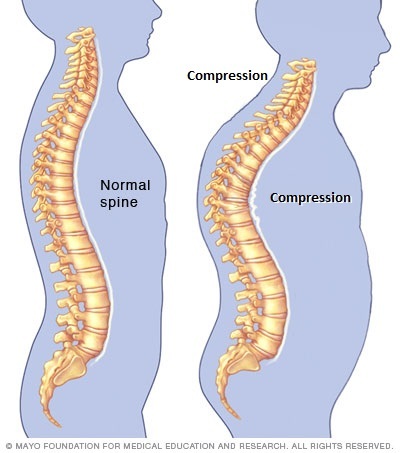 The human spine is designed to sit in a specific curved formation. The vertebra are specifically shaped to fit in exactly this position. 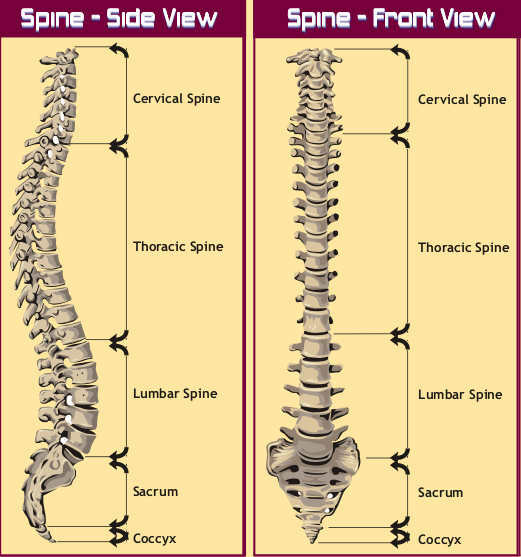 Take a look at the image of the spine to the left. You can see that each vertebral disk is spaced evenly and each disk's shape fits exactly into its spot. Any change to this alignment will impact the way that you feel; either pulling on the attached muscles and soft tissue, pressing or nerves or compressing parts of your spine. Your body works hard to keep you aligned and it will always make an effort to keep your spine in balance. This fight puts a huge burden on you. Most airplane and car seats are designed for the "average" passenger. You will notice that the seat to the right generally follows the contours or the average human spine, assuming you are the average height. 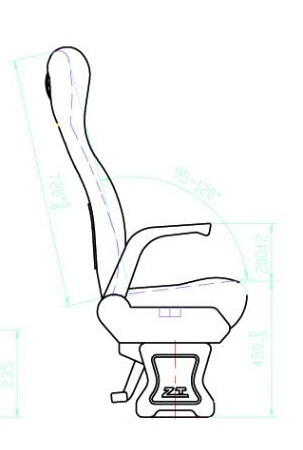 Unfortunately the seat shape is not accurate to the ideal alignment for the human spine and people come in all different heights. Therefore when traveling you are often forced into a position that is not comfortable for your body. As a result your muscles kick in and try to help you maintain proper alignment, which is exhausting. Those muscles get overused and eventually become hypertonic (static muscle tightness causing postural deviation - for many people resulting in a minor hunch). When your body is forced into an unnatural position the spaces between the vertebra in your spine are altered. This could impact the spinal cord or lead to herniated disks down the line but more immediately it will lead to muscle tightness and pain. When traveling try to keep your body in its natural position as much as possible. Place a pillow under your lumbar spine to keep a healthy low back arch. Place a rolled towel (jacket, hoodie...) vertically along your spine to allow your shoulders to open and rest on the seat back. Place a very small pillow (scarf, sweater, shirt) under your neck horizontally. You should be able to relax your posterior neck muscles and avoid fighting gravity. Allow your arms to hang all the way down. You should not have to hold them up nor should they force your shoulders up. When driving, adjust your steering wheel so that your arms can relax when they are not in use. When traveling you spend most of your time in forward flexion so take breaks and stretch out your chest, stomach, and hip flexors. When sitting, your glutes are in a constant state of extension which can lead to hypotonic muscles. Make sure you activate them so they get some blood flow and stay healthy. When standing pull your leg all the way back while tightening your glutes. Regular visits to your massage therapist can help keep your spine aligned by reducing the muscle tension. I have recently been qualified as a Medical, Clinical and Orthopedic Massage Therapist. This means that with a prescription from your physician, massage sessions may be covered by insurance. Because of this change and the additional training required, rates have change for new clients only as of June 1st. All legacy clients will be charged their regular rate.